Retail is in the middle of rapid and substantial change; change that was predicted well over a decade ago, as many brands and online retailers turned into full-blown competitors. To survive, some retailers adapted measures several years ago and many of them are today’s success stories. However, those that did not, now find themselves trying to catch up. The customer’s reliance on the physical location has diminished. As the retail landscape continues to evolve, previously eCommerce only companies are opening physical locations while retail giants are closing doors. It isn’t about adopting one innovation but about being adaptable to change and ultimately the driver of the change. As a brick and mortar retailer your number one goal every day is to get people in the door. Immediate gratification is a human desire that has a great impact on the shopping industry in general. Currently, brick and mortar stores fulfill that need better than any online retailers can. As more people shop online and as retailers continue to close stores, customers in brick and mortar stores may find a more satisfying shopping experience. Stores may be less crowded, and have shorter lines at the registers and improved service. Besides customer satisfaction, people appreciate brick and mortar shopping because of the sensory “touch” experience. The ability to see, touch and feel products as well as take items home immediately rank highest among the reasons consumers choose to shop in stores versus online. In particular, female shoppers overwhelmingly want to see, touch and feel products before buying them. Males, on the other hand, skew more toward the immediate satisfaction of buying and taking home. Additionally, physical stores offer on-hand warehousing ability as well as brand advertising. So even in this digital age – Consumers still want to do business with you. The goal for the brick-and-mortar shops then becomes finding their value and building on that in ways that lead to becoming the innovators. How can a brick and mortar store do this? 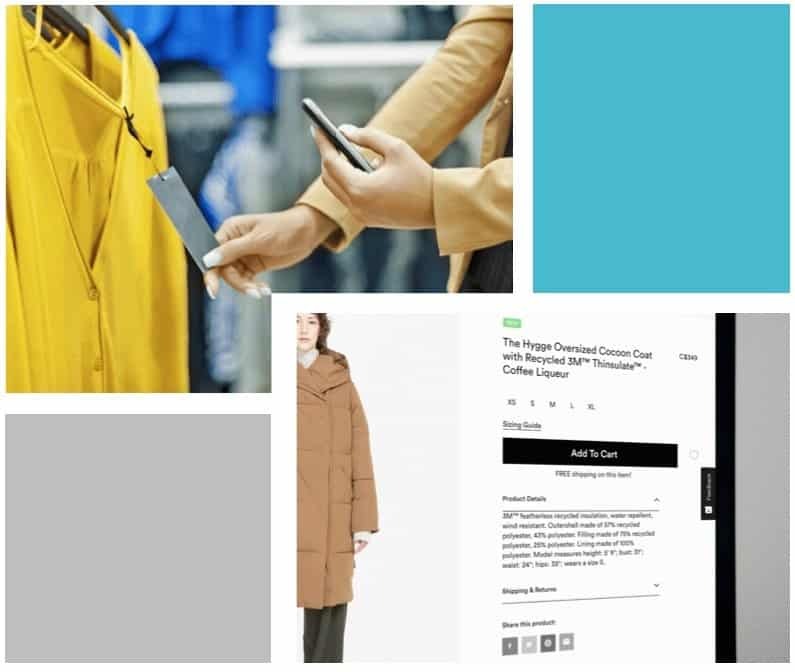 Omnichannel retailing (meaning, all channels) — is a fully-integrated approach to commerce that provides shoppers a unified experience across online and offline channels. True omni-channel shopping extends from brick-and-mortar locations to mobile-browsing, ecommerce marketplaces, onsite storefronts, social media, retargeting, and everything in between. As consumer behavior evolves, omni/multichannel retailing is more important than ever. Merchants can no longer focus their efforts entirely on offline or online sales — both are necessary. Instead of pushing customers where you want them to be, meet them where they already are. More importantly, anticipate their needs during each stage of the buying journey, and help them meet those needs. It’s about understanding your businesses strengths and aligning that with your customer. Then meet them where they are and mind the experience. It means making your products available for purchase via more than one outlet – both online and offline. It’s no longer viable to be online only or in store only. Not only do retailers need to have a presence online. You need to have a cohesive experience across multiple channels to allow customers to buy anywhere, anytime. Retailers who don’t keep up risk missing out on the opportunity to capture additional sales. McKinsey Research and Harvard Business Review collaborated with a major retailer who has hundreds of store across the US for a study that included 46,000 customers who were asked about every aspect of their shopping journey over a 14 month period, focusing on which channels they used and why. This study found only 7% of shoppers are online-only, compared to 73% who use multiple channels throughout their shopping experience. And what’s even more telling is the growth in consumers planning to buy online and pick up in-store during the holidays. A study by Patagonia found that less than 1% of customers buy from the same channel every time. First they will buy a product on the brand site. Then buy the same brand on Amazon. Then from a retailers site. And finally in a store. Additionally, they found it took 5 “touches” of the product (which included social media, email, retargeting ads, in-store, etc.) before that consumer was activated to buy. Proving you need to activate as many channels as possible to get that customer to buy. To further support this data, a Google and Forrester Research study found that if you present your selection online and via social media you will have a 70% chance that those customers will make it into your store within the next 24 hours. Digital marketing allows the retailer to bridge the gap between their physical store and the “on demand” mentality. And in today’s on-the-go world, a mobile digital strategy should be a high priority. At least 43% of customers have used their mobile phone while shopping in a brick-and-mortar store. But what makes people shop your online store vs someone else? eCommerce relies on TRUST and PRICE. The greatest fear for brick and mortar retailers in this digital age is having their store used as a showroom. A place to try something on or physically touch it, only to have that customer then leave the store and purchase online. This practice is called showrooming. While this may have been a huge issue at the start of the eCommerce explosion, it is not as much of an issue today. Currently webrooming is a trend that is making waves in retail. Webrooming is the opposite behavior to showrooming. According to a Harris poll, 69% of people webroom while 46% of shoppers showroom. Webrooming is when consumers research products online before going into the store for a final evaluation and purchase. If you are doing your job right, neither are to be afraid of. In fact, I highly recommend embracing them. Showrooming occurs because, while many people still prefer seeing and touching the merchandise they buy, many items are available at lower prices online. As such, local stores essentially become showrooms for online shoppers. It’s usually seen on higher commitment products that are above a certain price threshold. Two of the main drivers for eCommerce are lower prices (69%) and free shipping from the online retailer (47%). A fifth of all consumers use their phones while shopping in stores to make purchase decisions. And a recent study from Omnico revealed that one in ten consumers have used their phone to purchase a product from an online competitor while present in the actual store. Online retailers can leverage pricing as a huge competitive advantage, especially if they have adopted a loss leader type of pricing strategy like Amazon. Of course not everyone has the cost structure to support this strategy, but overhead for online retailers is lower, which allows them to offer more competitive pricing. The difference is that now consumers have quicker and easier access to this data. Amazon even has a mobile app for checking prices, which allows you to comparison shop, share the in-store price with Amazon (a smart move on their part to collect more data while they’re at it), and purchase the product directly from the app. Their app is just one of many similar ones. Countering showrooming by simply slashing prices will likely be a losing battle. Price comparison isn’t the only thing consumers are using their phones for. Often they are searching for product information, user reviews or coupons, or asking for advice from friends and family. They are nearly as likely to use the store’s own website (70%) as another website (75%) to gather product information. They are also just as likely to use the store’s own mobile website or app (22%) as a competitor’s website or app (22%) when they choose to purchase online while in a store. Consumers may still choose to purchase in-store despite finding a lower price online due to convenience, urgency and immediacy. Consumers do not purchase solely based on price. Brick and mortar retailers must find creative ways to offer value to consumers that online-only stores cannot. Or embrace the showroom concept by integrating their web and in-store experiences. For retailers who operate in both channels, they can utilize technology to gather data and real time analytics to capture buyer patterns and craft the experience to the customer. They can also customize the experience to engage the customer before, during and after the visit in personable ways. All of these things present new opportunities to create value. Webrooming is when consumers research products online before going into the store for a final evaluation and purchase. As more retailers switch to multichannel selling and adopt eCommerce this practice is becoming more common. It puts a greater focus on better in-store customer experiences like experiential marketing and immersive brand experiences. Consumers want to work with knowledgeable sales people – the “experts” in the field. Additionally, in-store amenities and events, smartphone discounts nudging shoppers to buy in-store (proximity marketing) and click and collect options (in-store pick-ups for online orders) will drive traffic to your location. But what else makes customers want to buy in-store? So how do you make showrooming and webrooming work in your favor? Offering a cohesive customer experience across multiple channels is one key way to encourage shoppers to engage with your brand both online and offline. Although customers like to research online, almost half still prefer to purchase in-store. And retailers with two marketplaces for selling generate 190% more revenue than those with just one. So, if you haven’t done so already, it’s time to seriously consider multichannel retail. 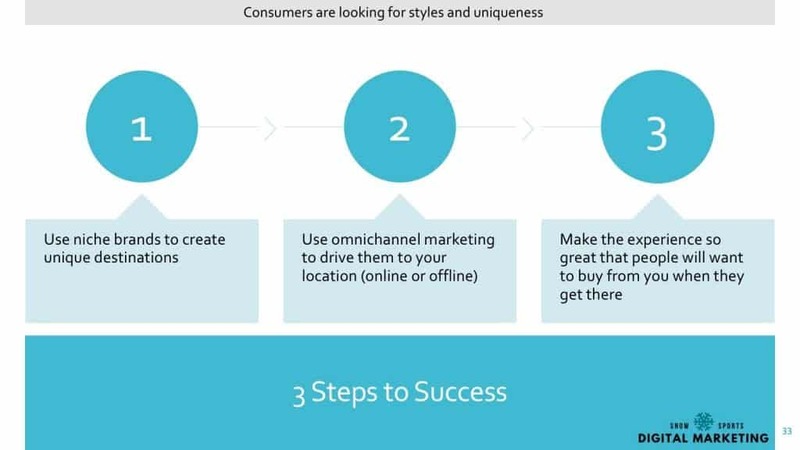 Whether you expand to selling through an ecommerce site, social channels, and/or online marketplaces, build a multichannel strategy that works for your unique brand. Human interaction is still a vital driver behind why consumers still prefer to purchase products in-store versus online. 90% of consumers are more likely to buy when helped by a knowledgeable staff member. Great service can go a long way to lure customers and keep them. Building a more knowledgeable sales staff by offering more employee training will increase the chances of that consumer buying in your store. Neil Patel reported in The Fastest Way to Lose Customers that 71% of consumers have ended their relationship with a company due to poor customer service and that once these customers are lost, the average cost to replace each consumer is $243. Retailers can take advantage of this data by increasing interaction between sales staff and customers, ensuring your staff is well-trained on both your products and customer service best practices, and making it easier to return or exchange products (especially in-store). Shoppers are already on their mobile phone when in-store, so why not take advantage of it? Research shows that 23% already post updates to social media while in-store while 19% have checked in with a location-based service like Yelp or Foursquare. Why not ask them to like your Facebook page, take a photo with your apparel and use your hashtag on Instagram, or share their purchases on Twitter? You could incentive this through contests, giveaways, coupons, and other creative promotional campaigns. In this “me generation” where everyone wants everyone to know about all the cool places they go. One of my favorite things to do in shops in tourist destinations is to set up a visual merchandising display that the customer can “get in to” or pose with to post a picture to social media. Make sure there is some signage that includes the name of your store and the location so that every share is an ad for your store. Also, encourage customers to review both their shopping experience and your products. Mention it at check out. Print it on the receipt. One recent study shows that 90% of people’s buying decisions are influenced by online reviews— which only underscores the importance of publishing the opinions of your customers. Let customers try on products in-store and buy online at a later date. You could create an in-store app to use that is tied to your website. A virtual “wishlist”. 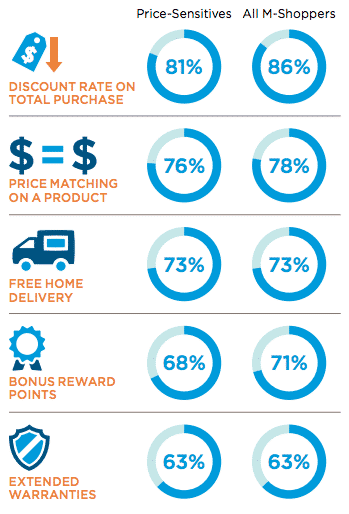 This chart from Columbia Business School shows reward offers that entice shoppers to shop in-store. 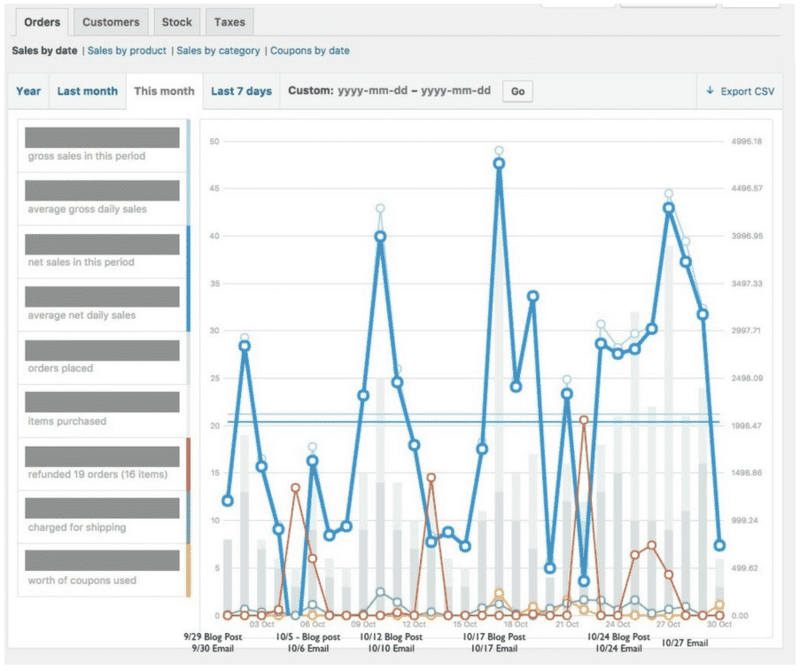 What does omnichannel retailing look like for the Snowsports Industry? Although every business needs to understand their consumer, asses their own needs and determine what will work best for them, here are a few strategies that seem to work across the board for many. This graph is based on actual data from an online retailer in the ski industry. 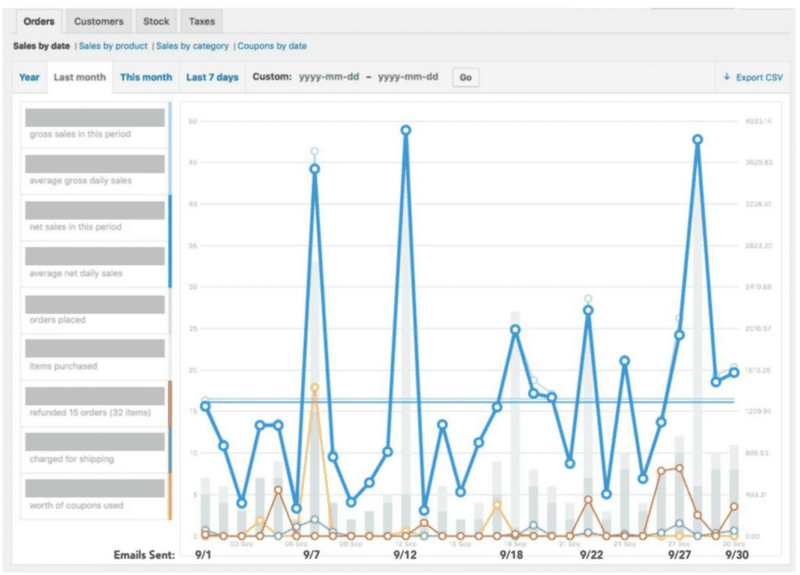 The blue line on this graph shows the direct correlation between online sales and emails sent. When you combine blogging with email marketing, it not only increases online sales, it improves your website’s SEO (search engine optimization). You can see on this graph how blogging and email marketing combined drove sales in this particular month. 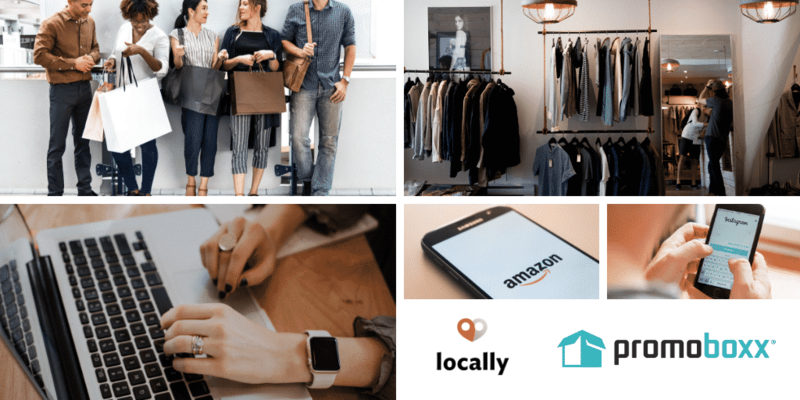 Locally is a great program that was founded by an outdoor shop owner to alleviate the competition between brands with websites and their retailers. It allows consumers to browse products on the brand website and then see which stores nearby have what they are looking for so they can go buy it there. Locally understands that there’s no substitute for the personal relationships, trusted expertise, or the feel of a product in-hand that local shops provide. It can get your store on the map, into search results and social sites, put your inventory on popular brand sites, and help your customers shop your store from anywhere at any time. It’s great for SEO and it puts you where your customers are. And it’s free for retailers. The ski industry brands that participate with Locally are too numerous to list. You can find a complete list on their website. Promoboxx is an online marketing platform that allows you to promote customizable brand marketing content to your business’ online marketing channels. It simplifies digital marketing by providing all the content from your participating vendors in one place for you to share. In the ski industry Smartwool, Nordica, The North Face, Under Armor, Atomic, Salomon, Dynastar/Lange, Arcteryx, Blizzard/Tecnica all participate with Promoboxx. After you’ve nailed down what channels to use, you should set a strategy and specific goals for each. A strategy helps you define goals against which you can measure success. Goals serve as the target towards which you’re working. You can change those goals as new trends emerge or you see success on some channels rather than others. Make sure you determine your metrics for success. Whether it be(number of products sold, overall sales, engagement, clickthrough rates, site traffic, etc. And then set benchmarks to work toward for each channel. Then document everything you want to accomplish, and how you plan to do it. Remember, just like when you started your brick and mortar retail business, this is a marathon, not a sprint. Make time for digital marketing – Put it on your schedule! Use a content calendar to schedule all social media marketing, blogging and email marketing in advance. Build the calendar as you write orders and all summer long as you add products to your website. So when the season hits all planning is done and automatically scheduled to post on it’s own. Be aware of current trends, be creative and become technologically advanced in how you deliver your services to their marketplace. So as you can see, brick and mortar retail is not dead and online retail is not the enemy. Great brands and retailers who strive to stay relevant continue to thrive because they understand their consumers and offer a seamless multi-faceted omnichannel experience.